"…I can't think of a better way to spend the summer than out on the road with my fans. And, I get to bring my dad and two of my favorite artists in country music along for the ride," said Rhett in a press release. 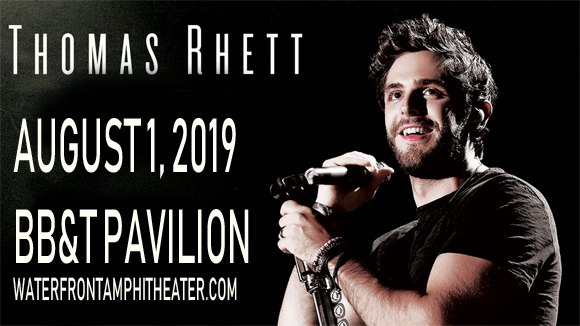 American country music singer and songwriter Thomas Rhett began his career writing for other artists, co-writing the song "I Ain't Ready to Quit" on Jason Aldean's 2010 album My Kinda Party, before signing to Big Machine Records' Valory Music Group division the following year. In addition to writing for Aldean, Rhett has also written for Lee Brice, Florida Georgia Line, LoCash and Michael Ray among others. Rhett released his debut single, "Something to Do with My Hands", in 2012, hitting the Billboard Hot Country Songs Chart's Top 30, as did his follow-up singles "Beer with Jesus" and "It Goes Like This" – the latter of which peaked at Number 2 and topped the Country Airplay chart. His debut album, It Goes Like This, was released in 2013 and debuted at Number 6 on Billboard 200 and Number 2 on the Top Current Albums chart. To date, Rhett has released three studio albums, his most recent being 2017's Life Changes. Rhett is a Grammy-nominated artist and grew up knowing other singers including Tim McGraw and Brooks & Dunn thanks to his country singer father, Rhett Akins.